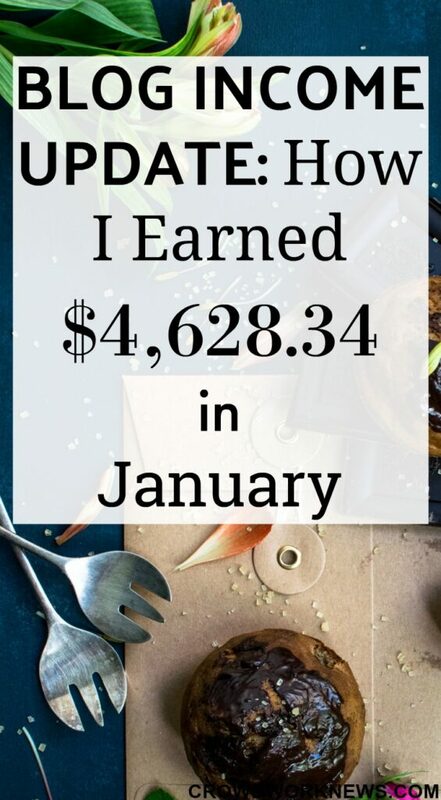 Today, I am sharing my first income report for 2018. A lot of amazing things happened last month. My traffic and income increased a lot. So, how did this happen? I will share the things I did and also the biggest reason for the change in traffic. Last month showed me to keep working on things that worked. If you are a new blogger, then take it from me that blogging takes time and things only work if you work on them. Sometimes you are on top of the world with high traffic and making loads of money, and the next month you might be going down. THIS IS NORMAL. It happens, and it is ok. So, what do you do during this ups and downs? Just keep doing what you are doing, work on things that worked for you, analyze your strategies and pinpoint what went wrong. I like working towards goals, and my blog updates are a way for me to analyze what worked and what didn’t. I earnestly hope that they help you to grow your blog as well. My page views were around 90k in December, and last month they jumped to over 166k. What happened? Pinterest was getting updated, and many of my pins were appearing in the trending section and the smart feed. I was also creating tons of updated pins for old posts. Apart from this, something interesting happened. You must be knowing that I am working on getting my SEO game up. Last month, my SEO traffic increased by 62 percent. I worked on a couple of posts strictly to rank for the keywords and did a lot of work on-page SEO. Because I am a complete SEO beginner, the course in this Blogging Club helped me get a better understanding of the process. If you are looking for an excellent resource for SEO, I suggest Backlinko.com. Brian’s content is just incredible. Apart from organic traffic, Pinterest was a big part of my traffic spike, and I am working more on it now. It’s another win for me as my email list comes close to 5k. I have been reassessing the opt-ins and freebies and analyzing them to improve and provide better content. Recently some of my readers asked me how to get into email marketing. If you are entirely new to email marketing, then check out this super detailed post from Meera Kothand. I always refer to her posts for anything related to email. Aweber and Thrive Themes are two resources that have helped me to grow my list hugely. Last month was crazy with Pinterest. I was waking up to see BIG Pinterest traffic numbers every day. Some of my last month’s new posts went viral, and they accounted for half of my traffic spike. I went from 1.2 million to 2.3 million in reach. That’s a significant number for me. The best part is, I was away on a holiday last month, and in spite of not pinning much, my traffic was high. Overall, it was an excellent month for Pinterest. If you are struggling with Pinterest, then look no further than Carly’s Pinteresting Strategies. I can personally vouch for this eBook which is the biggest reason for my Pinterest growth. If your Pinterest account is older than 6 months and you want to really go deeper into understanding Pinterest, then I suggest Jennifer’s PIMP course. This course will give you an in-depth knowledge of how Pinterest works. If you are stuck with your Pinterest, then this is the course you need. My referral traffic from Facebook is increasing. This is mainly because of posting at high engagement times and running Facebook ads. My likes and followers are still growing a lot organically, and I am planning to go deeper into getting good ROI with Facebook ads. Hopefully will look into this more in the coming months. This year working on Twitter is also one of my goals which I intend to do after the first quarter. I love posting on Instagram, and it is mostly related to my travel photography. This social media channel takes time to grow and it is more geared towards working with brands. I would be happy to connect with more travel lovers on Insta. Any digital nomads here? Last month my income was $4,628.34 before expenses. I am happy that income increased A LOT when compared to prior month. That’s an excellent start to the new year. With the traffic improving, I am working more on the affiliate strategies. As I mentioned in my last update, I have been aggressively working on diversifying my income, and it is working. Even if you get loads of traffic, it will not make any difference to your affiliate income if you do not have a right affiliate marketing strategy in place. A lot of things happened last month. I took a long holiday which meant that I had to work ahead and schedule my posts. My schedulers come in handy when such things happen. I was lucky to interview some amazingly successful people for some interesting side hustles/work-at-home opportunities. Watch out for those interviews! Last month two of my posts were on page 1 of Google for the keywords. This bumped up my organic traffic. Both of these were very long posts (more than 2,500 words). Writing such posts sure does take time, but the effort is well worth it if you want to get organic traffic. 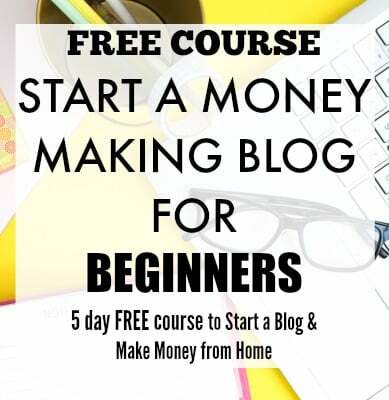 The Blogging club that I joined has been a goldmine of knowledge, and it is helping me to work on different areas of blogging, especially SEO. Though blogging is location-independent, I have never taken a complete time off from it since I started. Last month was enough proof for me that I can pursue my passions while I earn money from my blog. Many of my blogging readers talk about overwhelming things of blogging. Well, I think if you can write good audience-focused content and promote it on social media (one or two which work), that should be it. I do not think you need to work on too many things when you are starting out. I am very hopeful of good things happening this year. I will try to reach my traffic goal of 200k this year with earnings of 10k (I am ready for the challenge). This year might also be the time; I get into sponsorships. It will eventually diversify my income. Focusing more on SEO and long-form content is definitely on my list. Too many goals and too little time! That’s an awesome result. The best I ever did was maybe $300 a month. I definitely need to check out that Pinterest strategy! Thank you! I started with $300 and it took a lot of analysing, working on things, using different strategies to get here. I am sure you will get there if you do the same. Carly’s ebook is surely the biggest reason for my Pinterest traffic, definitely check it out. Your income reports are so incredibly inspiring. I always get excited when I see you posted one! You are doing so well, what a dream it is to still earn money even when holidaying. I am a new blogger and hope to one day get to the point where you are. Thank you so much! Posting income reports is something I do to analyze and to show other bloggers what worked and what didn’t. I have learned a lot looking at income reports from other bloggers. It is definitely my dream to travel and pursue my passion for photography while I manage my blog. Hopefully that works out! Amazing job girl! 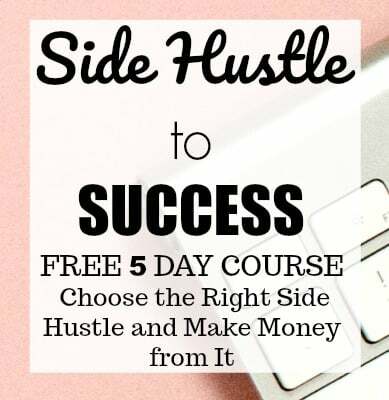 Have you started implementing Jennifer’s PIMP course into your Pinterest. Did it help contribute to your growth? I was thinking about getting it. Thank you! Jennifer’s course is very in-depth info to understand Pinterest and it took me more than a month to finish her course. She has amazing info on how to get traction to your new pins, how to find your best pins etc. It has surely increased my Pinterest views and I am getting a better understanding of how things work.